France had already experienced terrorism: in the 1950s or 1980s, more recently in 2012 when military men and Jewish schoolchildren and their headmaster were killed or wounded in the South of France. But on January 7th, France discovered a new level of terrorism. There were still precise targets: a satirical magazine, police officers and a kosher supermarket. There were more victims, 17 killed and 16 wounded. Some victims were known to a lot of French people. Charb for example, drew characters to illustrate articles about the Vikings or submarine life in the magazine I read as a teenager. Cabu was the father of the “Grand Duduche” and “Beauf” my Dad’s generation grew up with. 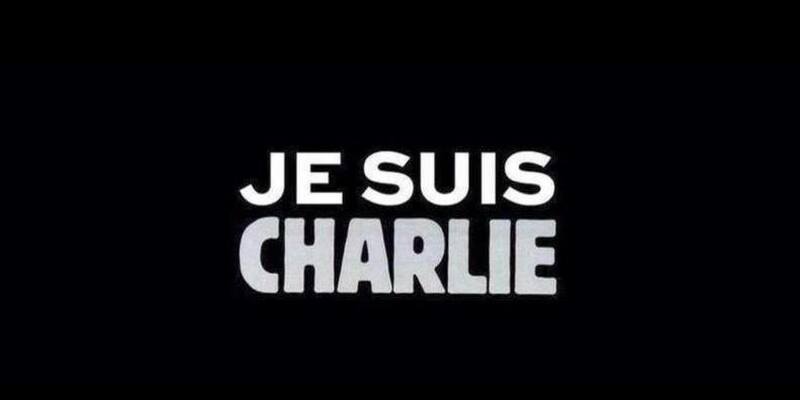 Symbols and values were attacked – freedom of the press, secularism, fraternity, freedom in general. The aim was to divide the society, to make everyone feel the fear of being a potential target, anywhere at anytime, to make us think again about our way of life and abandon some of our principles because it could harm us, to make us believe that our neighbour was different and so dangerous because they lived another life, believed in another God, came from somewhere else. It succeeded in the way that people are still arguing about Charlie Hebdo and their caricatures: Should they draw what they draw? To what extent can we mock other people (in any cartoon, from politicians to the average Joe). However, we all came to the conclusion that murder is not and will never be the solution; these people were just doing their job: they were cleaning agents, police officers, journalists, proof-readers and economists and they were doing the grocery or were working in that supermarket. They were all humans and harmless. It also confirmed that our Republic was able to breed terrorists, lone wolfs who would turn against the country they were born into. The terrorists who attacked Charlie Hebdo, the kosher supermarket, the Bataclan, cafés which killed people in the streets were French. This is the realisation that was hard to make for France. It was not new, but it was a sort of reaffirmation. We are not protected from terrorism because there is no war on our territory, because we live in Europe and because we have stable institutions. Our society failed in some way, we knew it before but on this morning in January we saw the extent the lack of barriers and support for some kids can lead to. Did “l’École de la République” (the Republic’s school) fail? Did the Justice system fail in preventing delinquents to become terrorists? Why did they feel abandon? Why did they turn against their own country? Why did they suddenly think that extremist ideas were better? How could we have help them before they changed? What can we do to avoid that in the future? How can we reduce the gap in society already created? These were some of the questions asked. We came to the realisation that something was wrong because we did not see it coming. Our intelligence was not ready to deal with lone wolfs, we cannot watch every single citizen to see who is a potential terrorist and who is ready to attack. More importantly for other Europeans, France cannot deal with it alone, we are not the only target. It was more obvious in November as the investigations is leading towards the idea that the Paris attacks were planned in Brussels. 2015 did not only bring the January attacks for France but also smaller attacks, against military men, or police officers throughout the year. In April, ISIS proved they could attack the press through the Internet and that churches were targets, in June we saw that an employee could decapitate their employer in the name of the Islamic State, in August we realised that we were seriously at risks in trains, in July and October our Navy was targeted twice and then in November there was no target or no real target, it could have been anyone. However, even if anyone could be attacked with a knife in the street in the name of ISIS, massive terrorist attacks could happen but were rarer, hence more brutal. We came to the realisation that being French in France was a risk, that we were never really safe. After the Paris attacks in January, the military and the police patrolled even more in the streets, train stations, near tourist attractions. The annual fête organised in most of the schools in the summer was even cancelled for many and kids now have to see a bright red triangle on their school’s door every morning, something I never saw when I was at school and this was two years ago. What the attacks changed in France was probably mentalities. People realised that their way of life was threatened, that although they were safer than in many parts of the world, there was still a risk. We have to get used to show our bags each time we enter a shopping mall or to think about it when we take a ticket to Paris for the holiday. It emphasised solidarity and a sense of reconnaissance towards the emergency services. The French are proud, and have demonstrated it, of their country, the values they hold, the institutions they have. They are ready to defend it, any way they can, by having four million people in the streets the same day not to shout after the government but to say that they are French. 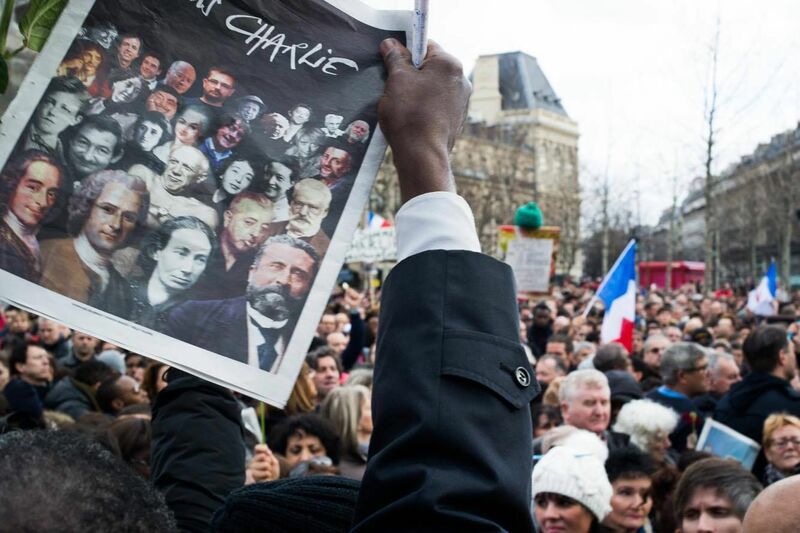 That sense of patriotism is never shown in France and 2015 awakened it. We suddenly realised that we are extremely lucky to live in our country and that we should still defend what we have because it would be taken away any moment. We are proud to live with people from all origins and all faiths, it is what makes France even better. The wish for 2016 is to learn from our mistakes and build a new society altogether, to reinforce fraternity and equality to preserve our liberty. Paris’ motto has never been truer for our generations: Fluctuat Nec Mergitur. Julie is a second year French student in Politics and International Relations in Scotland. The shocking attack on the headquarters of the French satirical magazine, Charlie Hebdo, was a clear attack on the right to free speech, says Global Minorities Alliance. Three gunmen shot dead 12 people, including the editor of the magazine, a number of famous cartoonists and a number of policemen. At the time of writing, they are still at large. Global Minorities Alliance (GMA), a UK-based charity which campaigns for the rights of minority communities the world over, condemns this attack as an attack on freedom.